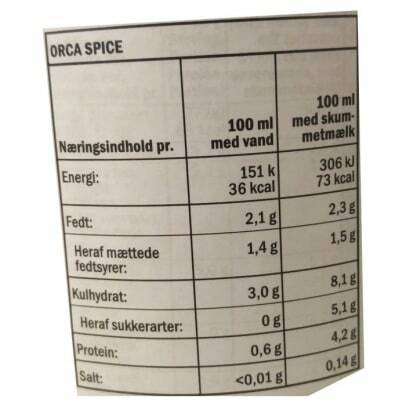 Orca Spice is the sugar free version of the very popular Tiger Spice chai tea. 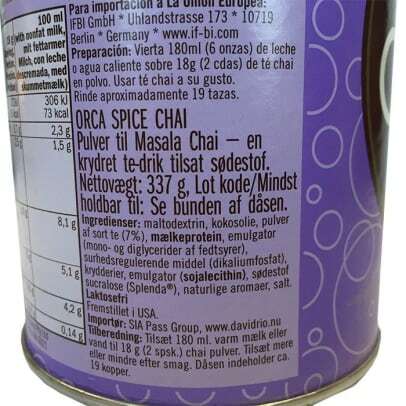 The tea contains all the same ingredients just without sugar. That means you get a tea with the same taste as the original one. The sugar in this tea is replaced by the sweetener Splenda. 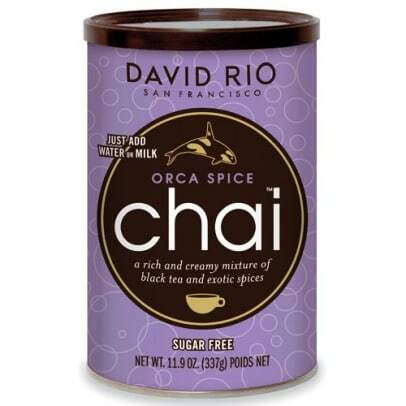 To enjoy this Orca Spice Chai Tea, you just need to add some hot milk or water to your powder and stir well.